Select your favorite pillow free of charge right after checking in, and, in no time, you can unwind and relax in your room. We offer various possibilities to provide quality sleep. We are especially proud to offer high-quality mattresses and the eight types of pillows that guarantee you a good night’s sleep. 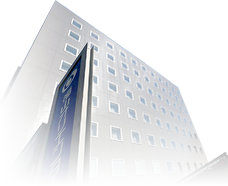 Have a wonderful sleep at the Fukuyama Oriental Hotel after a long day of work or sightseeing. Our special locker filled with eight kinds of pillows welcomes you next to the front desk. Select your favorite pillow from the locker after your check-in and feel free to bring it in to your room. You can leave the pillow in your room when you checkout. Pipes (plastic tubes) 0.5kg Filling of this pillow is mixed with feathers and pipes (plastic tubes). This is recommended for those who are not satisfied with feather-only ones. It is the pillow with the standard balance of feathers and pipes that defines the thickness and firmness. If you are happy with the typical pillow at hotels, this is the right one for you! Pipes (plastic tubes) 0.5kg Filling of this pillow is mixed with feathers and pipes as well. However, the amount of feathers is less than the pillow No.1, so both the thickness and firmness are 1★ less. If you prefer smaller pillows, if you are petite, or if you are looking for a pillow for your child, this one is recommended. Also, for those who like to use two pillows at once, this is the right choice for you! Pipes (plastic tubes) 0.55kg Filling of this pillow is mixed with feathers and pipes. The balance of the filling defines whether it fits you or not, even though the materials for the filling are the same. This pillow has 0.5 kg more pipes, compared to pillows No.1 and No.2. Please experience the difference and find the right one for you. Pipes (plastic tubes) 0.8kg This is THE pillow! This pillow rates 3★ for its thickness and firmness. For those of you who love thick and firm pillows, this is it. It is large in size, so if you usually use two of them at once, this satisfies you with just one. How about trying this pillow and you’ll feel like a king? 5 ★☆☆ ★★★ Buckwheat Hulls This is the buckwheat pillow that holds your head firmly. Many Japanese people use buckwheat pillows at home, and they are popular for a wide range of people. If you would like to have a pillow with the same material as your own at home to sleep comfortably, you have no worries at our hotel. 6 ★☆☆ - Low Resilience Our female staff highly recommends this pillow for our female guests. Providing gentle support, this thinner pillow is perfect for those who want to keep a good posture and not cause any strain on their necks from a pillow that is too thick. Get your beauty sleep with this low-resilient pillow! 7 ★★☆ - Low Resilience This is a standard pillow with low resilience material. It supports your neck and shoulders and guarantees you a good quality sleep! Once you try it, you may be hooked on the comfort that the low resilience pillows offer. If you have never experienced these, do not miss this opportunity! 8 ★★★ - Low Resilience This is a rich low-resilience pillow. You may have tried a low resilience pillow before but might not have felt comfortable because of its low thickness; if that’s the case, this one is recommended for you. We offer three types of low-resilience pillows – low, medium and high thickness. Please find the one with the right thickness for you! Why do we use pillows? We use pillows daily without a second thought. Why do human beings use pillows in the first place? Where do you place your arms when you lay down on the floor, for example? Most of you probably place your arms crossed behind your head, simply because this position is comfortable. Well, why is it comfortable? The human spine has curves that form an S-shape if you look at it from the side. This S-shaped curve is the most suitable form to support a heavy head and whole body. While sleeping, pillows are needed to support this natural position. The major roles of pillows are to hold the neck properly which serves as the starting point for the S-shape, and to help the body to keep the same natural position as you stand. The pillow fills the gap between the mattress, head and neck. Using the right pillow has a number of benefits. Many of you must have experienced not being able to sleep well due to changing your pillow from the one you use daily at home to another one at a hotel for your business trip. Using the right pillow that you are accustomed to gives you a good night’s sleep. The right pillow also provides many other benefits such as easing muscle fatigue, stress on joints, stiff shoulders and neck pain, preventing unnatural distortion of the cervical spine, and improving snoring as it supports the airway, to mention a few. “Duvet style” is a bed-making technique. “Duvet” is a French word that means “feather quilt” in English. In many budget hotels, you can find beds with sheets and blankets tucked under the mattress. This style is not really so convenient or comfortable, as you have to pull out the sheet and blanket to go to bed. The beds in our hotel are softly topped with duvet covers. We selected pillow-top mattresses for our rooms that provide thick and plush comfort.